This is an idea I have had for a vary long time, I actually have a pretty nice storyline thought out for this one, I am willing to allow people to join if they want, but this story is vary important to me so if you join, just know, any plot ideas you have, you have to run by me first because it is vary hard for me to get out my original plan otherwise. 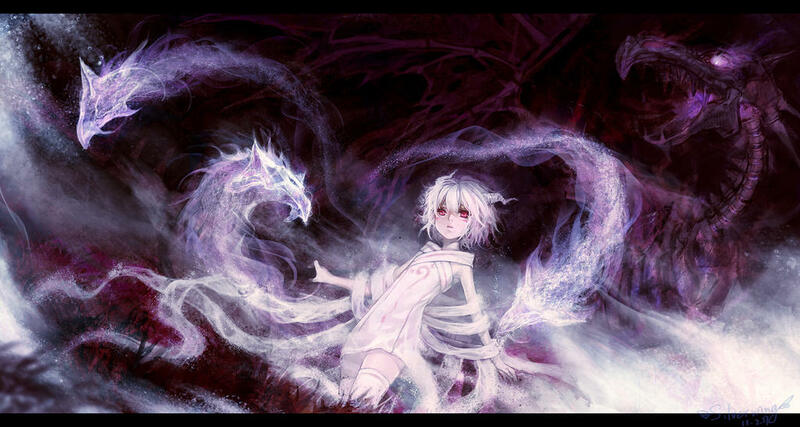 Ami- Dragon Name: Amiryle, Dragon of Guidance and purity. Info:One of the most Ancient dragons, since the dawn of the new age she has taken the form of a young child, as they are the most pure of human souls. unlike most dragons today, she was born before the dawn of the new age, which is a dragon term detailing the time before humans became dominant, and dragons ruled, so she sees herself as a dragon trapped in human form, rather then a Human with the powers of a dragon, as most youngling believe, having been born into this world human. Aron- Dragon Name: Argos. Dragon of death and destruction. Info: One of the Most Ancient dragons, since the dawn of the new age he has taken the form of an old man, as they are closest to death. he, like Ami remembers the old ways, and would be happy to return to the sky without fear of humans. Alexandria is a youngling, meaning she was born after the dawn of the new age. she was born in her human form because of this, meaning she lived most of her life as a human before learning of her dragon blood, she is a Golden dragon, one of the rarest breeds of dragons, even during the age of Draconus. "Why are we sitting outside of a farm?" the old man said, he wiped dirt from his nice pants and proceeded to stuff a pipe with Tobacco and light it up. a little girl was sitting in the dirt next to him with a smile on her face "something wonderful is about to happen to this world." she said. "salvation for our kind." she stood up and ran to the window of the small cottage. the old man rolled his eyes and took a draw on his pipe before following the child to the window. he bent over to look in, as he was taller then an average man. "you said that about the one girl a few years ago." the man said as he spied the event they had come to witness. a woman was laying on a bed in the middle of giving birth. "Oh, she will be vary important indeed, but this child, he is special." the young girl whispered. "if you say so, you where always wiser then I, especially when it comes to the future." the old man said as he watched the woman inside the cottage. the sounds of crying suddenly erupted from the house, and with it, the sounds of joy from the other inhabitants as they gathered around the small newborn. "he will be more important then either of us." the little girl said happily. the old man stood back up and walked away "More important then death, yeah right, that will be the day." the old man said, walking away. "he will, because he will return the world to harmony." the girl said as wings grew from her back, bright white, they shone like a light in the moon. she took off away from the cottage, the old man grew black decrepit wings and followed. 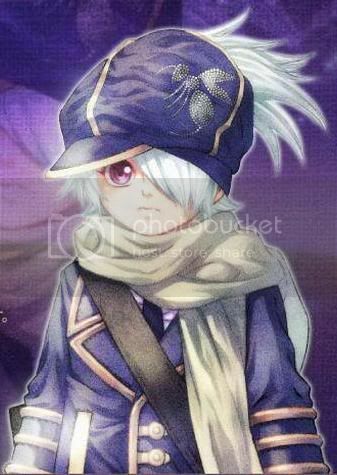 Ryne sat in class, barely listening to the teacher, he was actually looking outside at the sky, he often looked up at the sky when he was bored or scared, it was such a peaceful sight to him. 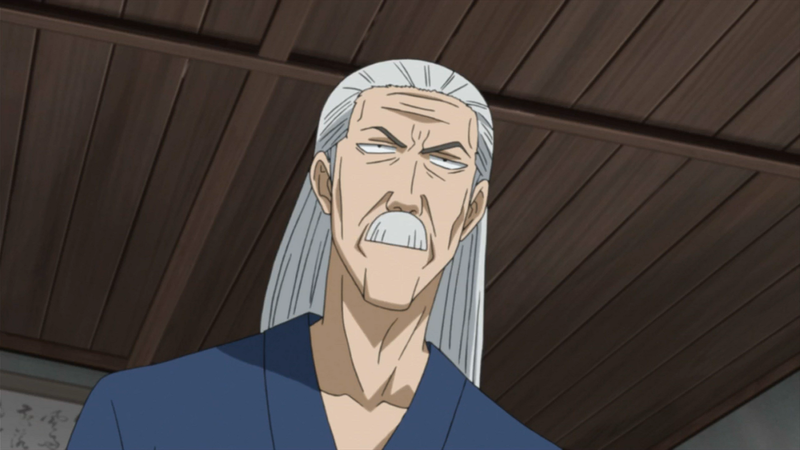 "many of you know that this is the 523rd year of our peaceful kingdom, or as some call it, the new age. does anyone in the class know what event started our new calendar?" the teacher asked, she looked around the room, noticing no hands, it was understandable, first years had not learned much about the world. "The event was the defeat of the last dragon king. 523 years ago our first Emperor slew the wicked dragon king for his crimes against humanity, to this day his awful head can be seen on full display in a glass floor under the capital building, to remind us what ferocious beasts dragons are." she started to hand out papers "your homework today is to list the types of dragons that are known, and what features give them away, but your homework for the rest of your life, or rather, your duty as a citizen of this country is to report anyone who acts suspicious as a possible dragon, as we learned years ago, when their king died they hid among us in human form." Ryne sat down on the bench outside of school as the other kids got picked up. he was the son of a farmer, so his family lived miles away from the school, which meant he usually had to wait a while to be picked up. "really? That's him? but...he's a kid." the girl who had said this was 18, had golden blond hair, and was sitting on top of a building near the school. most people would barley make out Ryne from that distance, but with her dragon vision, Alexandria could see perfectly fine. "yes, that is the boy you will teach." the little girl who was sitting next to Alexandria said. "look, I get that you are the dragon of Guidance, and I even get your obsession with little kids, since you are also the dragon of purity, but you told me that only I was powerful enough to train this legendary dragon, and now you are telling me it's some small fry who can barely sing his A,B,Cs? Sorry, but I don't have time for babysitting." Alexandria said to the little girl. who had an angry face on. "I AM NOT OBSESSED WITH CHILDREN!" she screamed "I am in this form because as a dragon aspect I take the form of my Aspect, which is Purity, and children are the purist beings alive." the little girl said, matter-of-factly "besides, you owe me a favor, If you have forgotten, it was I who saved you from execution." "Alright, I will consider the boy, but if he does not past my trial I am done." ALexandria said, turning her attention back to the boy on the bench.